Born with a broken heart, Hadley Rivera hasn't stopped fighting since the moment she drew her first breath. Coddled and spoiled by her wealthy parents, she's finally managed to break free and live life on her own terms. With a bestselling series of graphic novels and her very own thriving arts center, Hadley has one more box to check on her to-do list. And his name is Finn Connolly. 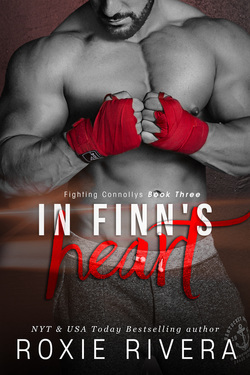 Damaged and broken, former Marine Finn Connolly has never wanted anything as badly as he wants Hadley. After saving her life from a cartel assassin, he can't stop thinking about the alluring heiress with striking gray eyes—or all the reasons he'll never be good enough for her. With the cartel and the Russian mob breathing down his neck, Finn learns Hadley's heart is giving out on her again. After everything he's survived to finally find his perfect other half, Finn refuses to lose her now. He'll prove his heart is strong enough for both of them.